Ramadan: A month of Islamic lunar calendar, this is a period for the faithful of daily fasting from sunrise until sunset. A time of spiritual purification, it is also usually a time of celebration and the opportunity, every evening, when breaking the fast, to meet with family and friends. National Holidays January 1st: New Year’s Day January 11th: Independence manifesto May 1st: Labour Day July 30th: Festival of the Throne. This is the largest public holiday in Morocco August 14th: Allegiance of Oued Ed-Dahab August 20th: Anniversary of the Revolution of the King and the People August 21st: Youth Day November 6th: Anniversary of the Green March November 18th: Independence Day Festivals The folk festival is held over two weeks in June or July in the ruins of the Badi Palace in Marrakech. 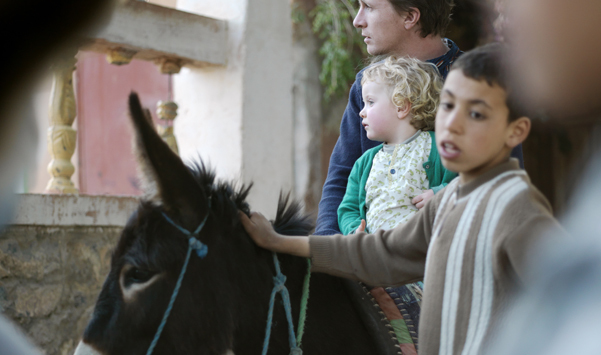 In October it hosts the International Film Festival of Marrakech. 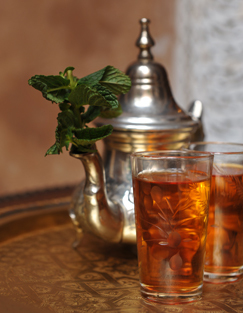 The city of Marrakech, which was originally called “Morkach” gave its name to Morocco. Around the year 1000, it was little more than a caravan train stop, until Abu Bakr, leader of the Almoravid armies set up camp for his armies there. 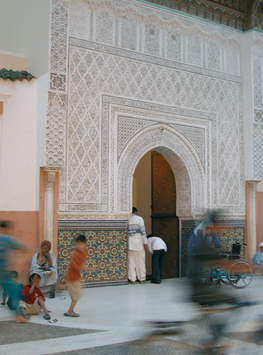 In 1062, Youssef Ibn Tachfin, who ousted Abu Bakr, built the Ben Youssef mosque. This was just the first of many mosques. Surrounded by ramparts, the town quickly became an important commercial, cultural and religious centre. It was also during this period that palms were planted and Marrakech became the capital of the kingdom, which was unified in 1083. In 1147, after a long siege Abdel Moumen, captured Marrakech, overthrew the Almoravids and established the Almohad dynasty. The city then underwent a golden age, attracting intellectuals and writers. It was under the Almohads that the Koutoubia which will always be the symbol of Marrakesh was built. In 1269, the Merinids in their turn put an end to the Almohad dynasty by seizing the city. The capital was immediately moved to Fez and Marrakech became slightly overlooked. 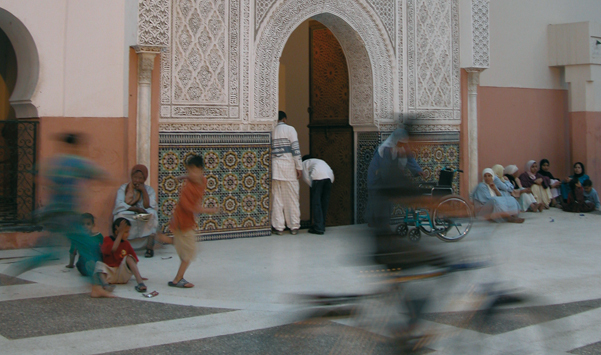 It was not until the 16th century and the coming to power of the Saadians that Marrakech regained its former glory. It is nicknamed the “Saint-Malo of Morocco,” for its Vauban ramparts and which is often compared to the Greek villages with its pristine houses with blue shutters. 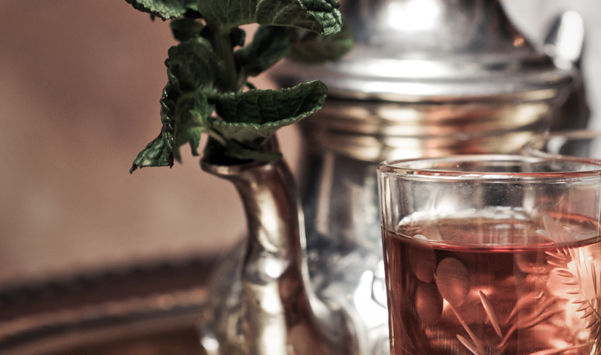 Join the dance of Essaouira, the enchanting city of the Gnawa musician- healers! 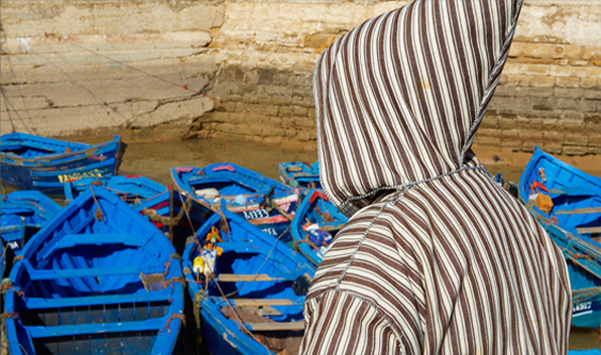 A word of advice: when you arrive, go to the small fishing port with its dozens of colourful blue boats, to see the arrival of the sardine fishermen. After lunch, visit the Sidi Mohamed Ben Abdellah Museum located in the former home of the pasha of Essaouira, dating from the nineteenth century and discover the music of the Gnawas. And finally, wander around the medina before going back to the waterfront in time for sunset.